Shop online for 74 parts-by-parks plastic models at discounts up to 37%. 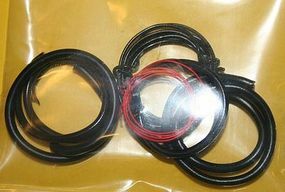 This is the 1/24 1/25 Scale Black Prewired Distributor w/Aluminum Coil & Spark Plug Boot Material from Parts by Parks. This is the 1/24 1/25 Scale Yellow Prewired Distributor w/Aluminum Coil & Spark Plug Boot Material from Parts by Parks. This is the 1/25 Scale Radiator Hose, Black Heater Hose, Red Battery Cable Plastic Model Engine Detail by Parts by Parks. 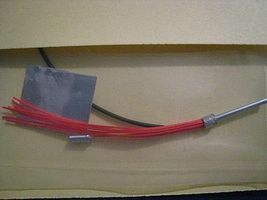 This is the 1/24 1/25 Scale Orange Prewired Distributor w/Aluminum Coil & Spark Plug Boot Material from Parts by Parks. This is the 1/25 Scale 4 ft. Hollow/Flexible 1'' Rubber Hose from Parts by Parks. This is the 1/24 1/25 Scale Gray Prewired Distributor w/Aluminum Coil & Spark Plug Boot Material from Parts by Parks. This is the 1/25 Scale Radiator Hose, Black Heater Hose, Red Battery Cable w/ Tinned Copper Wire Plastic Model Engine Detail by Parts by Parks. This is the 1/25 Scale Street Rod Round Back Headlights (Satin Finish)(2) Plastic Model Vehicle Accessory by Parts by Parks. This is the 1/25 Scale Hilborn Style Injector Stacks 5/32 x 3/32 x 1/8 (Machined Aluminum)(8) Plastic Model Engine Detail by Parts by Parks. This is the 1/25 Scale Radiator Hose, Red Heater Hose, Red Battery Cable w/Tinned Copper Wire Plastic Model Engine Detail by Parts by Parks. This is the 1/25 Scale Salt Flat Disk 15 (5/8 diameter)(Spun Aluminum)(4) from Parts by Parks. This is the 1/25 Scale Hilborn Style Injector Stacks 5/32 x 3/32 x 19/32 (Machined Aluminum)(8) Plastic Model Engine Detail by Parts by Parks. This is the 1/25 Scale Steering Column with Turn Signal & Shifter (Spun Aluminum) from Parts by Parks. This is the 1/25 Scale 4 ft. Hollow/Flexible 1-1/2'' Rubber Hose from Parts by Parks. This is the 1/25 Scale Exhaust Tip (Spun Aluminum) from Parts by Parks. This is the 1/25 Scale Hilborn Style Injector Stacks 5/32 x 3/32 x 3/8 (Machined Aluminum)(8) Plastic Model Engine Detail by Parts by Parks. This is the 1/25 Scale Baby Moon Hub Caps 3/8'' (Solid Aluminum)(4) Plastic Model Vehicle Accessory by Parts by Parks. This is the 1/25 Scale Radiator Hose, Orange Heater Hose, Black Battery Cable Plastic Model Engine Detail by Parts by Parks.